The project that has served most useful to me this winter is, hands down, Red-Light-Special. I loved it even before the vindictive cold snap hit, but over the last few blustery weeks we've become inseparable. The stranded fabric + the extra ear lining keeps my ears very happy when the winter winds whipping up Columbus attempt to ruin me on my morning walks to work. I didn't realize how toasty this thing was until I put an older, single-layer knit hat on my head when I went out the other day and experienced very questionable protection from the cold. Why am I telling you this? Mostly because I want to introduce some of the other wonderful versions of the pattern that have been cropping up around the internet. It's such a wonderful thing to see each one done in colors that suit the individual knitter. I'm endlessly entertained by all the color experimentation. This month I started a Red Light Flickr Group in hopes to gather together as many of our RLS (finished or in-progress) images as possible. Below you see some of the wonderful versions of the hat that have been completed by knitters all over the country (and world! Thanks, Sigga!). If you've made one, or are currently, and you're a flickr member (or junkie, like me) please join the group! If you're not a part of flickr but want to share your photos, please send them to me via e-mail and I'll post them for you. On top of all this, the wonderful folks at Noeknit in San Francisco even used the pattern for their beginner Fair Isle Course, and the results are wonderfully creative. To say I was flattered would be an understatement. Check out the in-progress shots from their class here. Also, be sure to see the most recent blog posts for a few finished RLS shots. I love all the color combinations that everyone has come up with. Thanks to Noeknit for the great inspiration. And thanks again for everyone who has sent in finished pics, I've really enjoyed seeing everyone's individual take on the pattern. Just yesterday I was thinking that I need to make a Fair Isle hat for my fiance as a way to learn colorwork. Yours fits the bill perfectly. How fun to see all the different color combos! I love that hat, now I'm totally inspirted to make one. I just have to finish up those darn socks for my sister and find some yarn! how lovely for you that people like the pattern and knit it. it makes writing the pattern worth your while. nothing is better than a warm or even very warm hat. i will consider knitting one for my cousin for whom i haven't knitted since i made a norwegian steeked 'kofte' in 1982 for him to bring to live with him in new york. it still lives. Wow they all look so different. The black and white one is pretty darn fab. I've been thinking that I need a new hat. Warm you say? I'm sold! I just need to get some other projects squared away. Good sales pitch by the way! All those color combos are great! 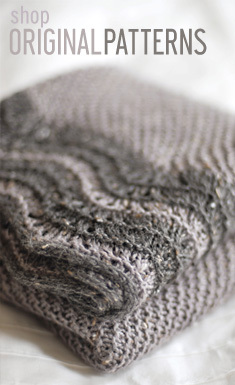 I just set up a flickr group for stuff knit with my yarns, how very cool to all be able to share in this way. My husband drooled over the original and will surely drool over these other versions. Guess I'll have to learn how to do fair isle...or teach my husband how to knit for himself! How exciting for you! Seriously...when is YOUR book coming out? I'm sure it would sell out in like 30 seconds? P.S. I LOVED your LBC photos...those are my stomping grounds! When will you be visiting again? It's a great pattern, Jared. I loved it when I first saw it and I'm really glad to be reminded of it now and see it in so many great combinations. That is a very nice pattern. I think I like your color choice and that white and black version the best. The extra ear lining makes me warmer just reading about it. I may have to make one for next year (now that's in the 40's here in NYC). That really is a beautiful hat and it's interesting how different it looks in all the different colors! 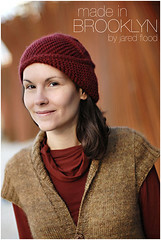 Isn't exciting to be the author of a pattern others have knit (not to mention a wildly popular one!)? I have just started my kind of first fair isle mittens. 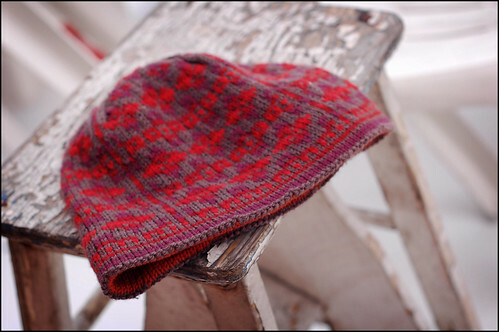 (I did a toddler dress in fair isle too many years ago) So, I will need a hat to go with my mittens!! This pattern is a beauty and how wonderful that the NoeKnit class chose your pattern!! I have read your blog for a while now but hadn't posted. Your knitting is fabulous, top-of-the-line!!! Your hat looks fantastic, and I love the colors. All the other ones look good too. How inspiring! Thanks for the excellent pattern!